The tragic passing of Whitney Houston has us listening to her greatest hits, marveling at her dazzling style and learning many little-known facts about the icon. 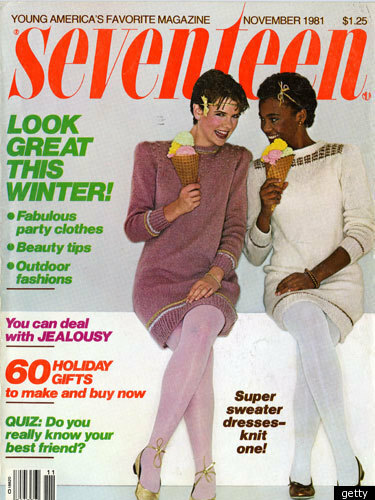 For example, did you know that Houston was one of the first black women to grace the cover of Seventeen magazine? Check out Houston, who was in fact 17 years old at the time, in a cream sweater dress and white tights on the November 1981 cover of the teen mag. 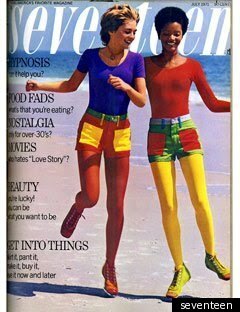 CORRECTION:Thanks to an eagle-eyed reader, we have learned that Houston was not the first black model to cover Seventeen. The July 1971 issue holds that claim. See that cover image with Bonnie Lyshoir and Joyce Wilford below Houston's issue.